This site is for the express purpose of allowing clients of Center for Internal Change and OnlineDiscProfile.com to easily order additional EPIC Credits and to better understand their EPIC Accounts. Contact us if you would like to become a valued client or customer. If you are a new client see our EPIC Account Starter Bundles for new accounts. You will be able to update your quantity after adding the product to your shopping cart. Contact us if you have any questions at (847) 259-0005. To determine your cost per report multiply the number of credits needed by the cost per credit, e.g. 500 EPIC credits can create 33 DiSC Classic 2.0 reports or Everything DiSC Workplace Profiles or 20 of the Everything DiSC Work of Leaders, Sales, or Management Profiles. Contact Us To Try a Demo EPIC Account. The EPIC Account “Electronic Profile Information Center” is an online, user-friendly platform for administering the online Everything DiSC® assessments and over 30 other Wiley (Formerly Inscape Publishing) online assessments and group reports. You can deliver all the online profiles and assessments directly from your account. Your EPIC account is available to you anytime – 24/7 from anywhere you have an internet connection. You can issue access codes via email, generate reports, and view results from within a secure, password-protected online environment. Consider EPIC as your access point or portal to Wiley’s online learning assessments library. EPIC can also be integrated into your corporate or educational Learning Management Systems if desired. Additional fees apply. Contact us for details. Using An EPIC Account Increases Productivity and Training Time Efficiency. You will need 25-45 minutes less time to do the same training. You will have an extra 25-45 minutes of training time to actually do training or coaching. How much does 25-40 minutes of training time cost you? How much money would you save by having your participants take their profile as pre-work? They can take it any time from anywhere, when they want to, all they need is Internet access and they can complete their part in as little as 8-12 minutes, since the scoring is automatic. You will also have full control over whether they see their results upon completion or when you choose to have the see them. You can view the results online, print them out, save them as a PDF file or email them. Not only are you saving costly training time, you are also ensuring scoring accuracy, thus increasing the reliably and validity of the results. So, having people take their profiles a head of time online you have maximize the time you have for training leaving more scheduled time for actual training. Even though EPIC has been designed to be very user-friendly an intuitive you can reference our easy to use online Help section, containing flash animated tutorials 24/7. You determine whether a respondent can view or receive their results. You have the option to view, print, or email completed reports in EPIC. Because the results are computer generated you receive more personalized and in-depth information and feedback that cannot be generated by filling out the paper booklet versions. These include such value-added features as personalized narrative description, gap analysis, group reports, and facilitator reports. Add your logo and company information to report covers and to the online test form. Customize and personalize email content when issuing access codes. EPIC Accounts Provides An Easy To Organization Online Environment. EPIC allows you to create folders and sub-folders to organize your reports by project, client, division, department, team, location, or any criteria you want. EPIC Credits never expire so you can benefit from our quantity-based prices*. There are not additional annual or renewal fees for your EPIC Account. All reports generated in EPIC can be saved or emailed in PDF format. You can brand and add YOUR contact information and Logo to all reports. You can Integrate EPIC into your Learning Management System. How To Set-Up Your EPIC Account. Note: If you just want an access code for an online assessment and don’t need an EPIC account all of our online EPIC based profiles are available at www.internalchange.com or www.onlinediscprofile.com. Epiccredits.com is a part of Center for Internal Change, Inc. developed to provide an easy to use website for the purpose of ordering EPIC credits and EPIC accounts. This site also seeks to facilitate the understanding, education, and knowledge of the EPIC account – designed, developed, and maintained by Everything DiSC, a Wiley Brand. During normal business hours, when you place an order for EPIC credits from this site we will do our best to get them into your EPIC account within one hour. However, please understand that some days are busier than others and this could take longer. Our normal business hours are Monday through Friday, 8AM – 5PM EST. Orders placed after hours or on weekends or holidays will be fulfilled on the following business day. If you need immediate access to your credits, please contact us at 1-847-259-0005 to discuss other options. *See our policies page for explanation. · Copyright © 2002-2017 All rights reserved. 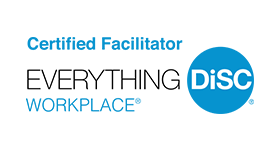 Center for Internal Change, Inc. "Wiley", "DiSC", "Everything DiSC", "Everything DiSC Workplace", "Everything DiSC 363", "Everything DiSC Work of Leaders", "Inscape Publishing", "Personal Listening Profile", and "Time Mastery Profile" are registered trademarks of John Wiley & Sons, Inc.